It is already October 30, that the drivers of the Region will deal with two new road signs on the highway, which are based on the French system and approved last July in the Legislative Assembly of the Wood. In statements, Jorge Pereira, responsible for Vialitoral, confirmed that there are more than a hundred signs distributed throughout the highway. The two new traffic signs are intended to allow traffic on the Madeira expressway to be more than 10 kilometers per hour than the speed currently established, but only in the parts that are properly signaled and when the ground is dry, which is not the case, of the last days. 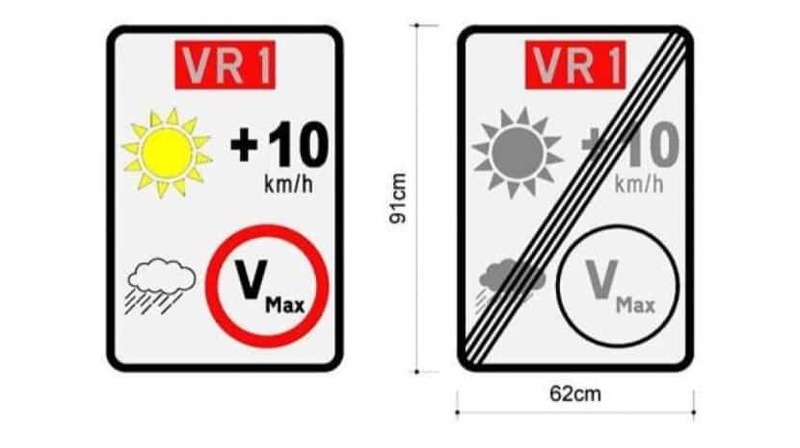 If the driver encounters a vertical signal with a speed limit of not more than 80km / h and if the ground is dry, the driver can drive at 90kh / h. On the contrary (if the floor is wet), the limit of 80km / h must be respected. This is not unprecedented in Europe. Prev post IS THIS RONALDO'S PRIVATE PLANE?